With Survicate surveys you can decide how often your survey will be displayed to specific visitors. ❗️Keep in mind, that if users close a survey, he won't see it again. 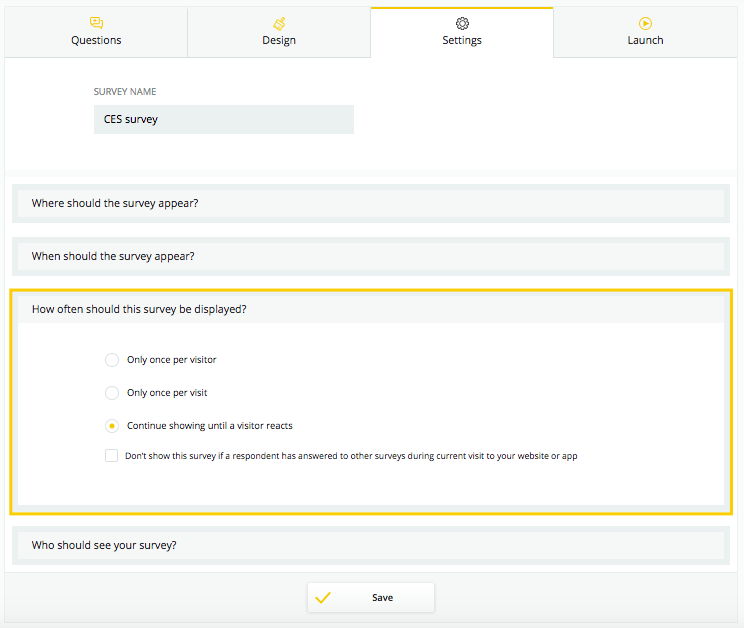 To set it up, go to the Settings section of your website survey and open How often should this survey be displayed? If you have multiple surveys running on your website, you can avoid distressing your clients by checking the Don’t show the survey if a visitor has been engaged during a session box. This way this if a visitor answered to other surveys during a current session this particular survey will be displayed to them next time they visit your website.